The use of strength training protocols to improve endurance sports has been a topic of conversation in the literature for a number of years. With more recent articles there has been an emergence of papers that specifically deal with this issue in regard to endurance cycling (Coyle et al, 1991; Loveless et al, 2005; Hansen et al, 2007; Jackson et al, 2007; Hausswirth et al, 2010; Louis et al, 2012). Sunde et al (2010) describe there being three leading factors that account for individual performance in endurance sports. These are maximal oxygen consumption (VO2max), lactate threshold (LT) and cycling economy (CE). This article will look at the current thinking in regard to specifically cycling economy and how this may be improved after a period of strength training to have the overall effect of improving performance. Various studies have looked at improvements in endurance in terms of implementing just strength training or considering the additive effect of combining endurance and strength training on cycling performance (Tanaka and Swensen, 1998; Ronnestad et al, 2010b; Ronnestad et al, 2014). The development of strength training in endurance cycling is often a complex subject in terms of performance as advantage is gained by having a lower body weight (Ronnestad, 2010b), so the building of large amounts of muscle tissue may be counter productive. So there is a careful balancing act that needs to take place to weight the performance gains from strength training while maintaining a lower body mass. This means that coaches are often looking for the best methods to maximise strength per kilogram of their competitors. At this point it may be pertinent to define some of the key terms that will be used throughout this article. Strength training is simply defined as “all training aiming to increase or maintain a muscle or a muscle groups ability to generate maximum force” (Knuttgen and Kraemer, 1987). This is generally achieved by using training parameters that include a lower number of repetitions with higher loads, as referenced in traditional strength and conditioning texts (Baechle and Earle, 2008; Cardinale et al, 2011; Hoffman, 2012; Gamble, 2013). Using a high load it has been shown to illicit a high level of neuromuscular adaptation that lead to an improvement in levels of high end strength (Gamble, 2013; Joyce and Lewindon, 2014). Ronnestad and Mujika (2014) described endurance as the maximal sustained power production for a given competition distance. Power is made up of two factors these are the ability of the body to produce force (strength) and the speed at which this can be done. The basic concept would be that if the amount of force the body can produce were increased then this would have a transfer to increased sustained power output and therefore an improvement in performance in an endurance sport (Hoffman, 2012). Two terms that are often linked to this process are efficiency and economy of movement. Efficiency is described as “the relationship between the mechanical work done and the chemical energy spent doing it” (Sunde et al, 2010). Where as economy is described as “steady state oxygen cost of standard power output” (Sunde et al, 2010). Improvements in economy would lead to an improvement in the overall endurance potential of a cyclist. Ronnestad and Mujika (2014) stated that any improvements seen in economy would be associated with improvements in long term endurance performance, as athletes would be able to sustain higher power outputs for a longer duration. There have been a number of very recently published studies that examine the effect that strength training as described above had on over all cycling efficiency or economy and how this in turn has an effect on overall endurance. Loveless et al (2005) carried out a study where seven untrained participants were exposed to an eight week strength training programme and this saw an increase in cycling economy of 12%. A similar study was carried out by Hansen et al (2007) who implemented a twelve week strength training programme with untrained participants and found that they improved cycling economy by only 3%. Both these studies saw a positive effect of the strength training but they had only small participation levels. Additionally the developments seen may be attributed to the general development seen when a novice acquires a new skill. Sunde et al (2010) carried out a study where a group of competitive road cyclists were examined who had no strength training experience, to ascertain if additional strength training would result in an increase cycling economy. A group of thirteen completed the study where an eight week programme of four sets of four repetition maximum was prescribed three times per week. This led to an increase in strength of 14%, which then increased cycling economy by 4.8% and work efficiency by 4.7%. This was compared to a control group where work efficiency was only increased by 1.4%. This study still has a very small sample size but by using already competitive cyclists Sunde et al (2010) was able to show that for participants who have already acquired the skill of cycling, a programme of strength training would assist in the increasing their cycling economy. An interesting study by Louis et al (2011) added an additional benefit to the strength training debate. They looked at the difference that a period of strength training had on both youth and masters age groups. Louis et al (2011) prescribed a three week strength training programme that focused on the leg extensor muscles, with both the young and masters level cyclists. They worked at training volume of ten sets of ten repetitions at 70% 1RM. This was shown to have a positive performance effect. Pre-training levels of cycling efficiency were higher in the youth group, as opposed to the masters. However after the three week training routine this gap closed and the difference was reduced. This can be explained as people move into a masters category they are more likely to have decline in levels of maximal strength (Bieuzen, 2010). This would then have an effect on cycling economy. Additionally Hausswirth et al (2010) found that a five week heavy strength training routine resulted in a reduced finishing heart rate after a submaximal two hour bike ride. This was observed with a group of triathletes. This would indicate that as well as the improvements in endurance there was a reduced physiological pressure on the body when strength training was included in the athletes training regime. Contrary to the above studies Jackson et al (2007) performed a ten week study and found that trained participants, who had previous strength training experience did not improve in terms of cycling economy. This was despite the fact that the high resistance group gained a significant level of strength as opposed to a high repetition and control group. This study only looked at a very small sample of twenty three participants split across the three groups. As the groups were all well-conditioned this result may be explained by the laws of diminishing returns and the authors discuss that strength training may lead to improved economy only in athletes who are at earlier stages of their training. This study has similar results to one conducted by Bishop et al (1999) which looked at a group of twenty one female trained endurance cyclists. They found that although there was an increase in strength there was no corresponding increase in endurance performance. Bastians et al (2001) found that by replacing some of a trained group of cyclists training routine with explosive strength based as opposed to solely endurance training there was an improvement in short bout work. However using both endurance and strength training allowed improvements in short duration events but additionally long duration endurance performance was maintained. This was supported by research by Aagaard et al (2011) who found that using concurrent strength and endurance training over a sixteen week programme with advanced cyclists, elicited a 8% increase in endurance capacity over 45 minutes. This was alongside an increase in the maximal muscle strength of the participants. Ronnestad (2010a), who found that a combination of strength and endurance training produced an improvement in endurance cycling performance supported the benefits of mixing strength and endurance training in a study. They also noted that this type of training improved cross sectional area and strength, without increasing body mass. This is an important factor because as previously stated a lower body mass with a larger strength to weight ratio is indicative of increased endurance cycling performance. Sunde et al (2010) who found that a training programme of four sets of 4RM 2-3 times per week, half squat ensured maximal activation of neural-muscular system. This aided the development of strength without the increase of body mass or any effect on VO2max. Despite this Ronnestad and Mujika (2014) observed that in their research of the subject area they did not find ‘any reports of a negative effect of heavy strength training and explosive strength training on either running or cycling economy’. This would lead us to consider that even if strength training does not provide a great gain in efficiency and economy at later stages of training, at worse it has no effect but would not hinder performance. There have been a number of explanations offered as to why strength training would help to improve performance in endurance cycling events. Sunde et al (2010) explained that improved cycling economy would lead to a reduction in the relative load and more optimal activation of the motor neurons and muscle fibres and as one repetition maximum increased there would be a reduction in motor unit demand for a given intensity. Ronnestad and Mujika (2014) stated “strength training contributes to enhance endurance performance by improving the economy of movement, delaying fatigue, improving anaerobic capacity, and enhancing maximal speed”. Aggaard et al (2011) found that there was a shift to type IIA fibre types from type IIx, that had a corresponding decrease in terms of levels of fatigue. The premises is that this method of training is based on is that by improving overall strength it may help to delay the activation of type II muscle fibres which are considered less efficient, and more susceptible to fatigue. This is coupled with improved neuromuscular efficiency and the conversion of type IIX into more fatigue resistant type IIA fibres (Ronnestad and Mujika, 2014) this would then allow cyclists to perform at a higher intensity while resisting fatigue. In terms of practical applications of this research, it appears that maximal benefits in terms of improving cycling economy and therefore endurance potential can be achieved by using a combination of both strength and endurance training. This will elicited an improved level of strength without the additional muscle mass that would increase the cyclists body mass. Ronnestad et al (2007) found that by using three sets of strength training was superior in improving strength gains in the legs. Heavy strength training with maximal velocity during the concentric phase (Ronnestad and Mujike, 2014) would lead to the best improvements in cycling performance. This combination of maximal strength and velocity would have maximal correlations to increased levels of power. Additionally Ronnestad (2010b) found that maintaining strength training during in season training phases allowed the maintenance of leg strength throughout a competitive period. Although there have been a number of recent studies that have been drawn upon in this article most of the studies have involved smaller group of participants. It would be interesting to look at larger groups of participants and especially looking at how strength can be maximised in trained cyclists using the above practical application and if this would be able to be done while maintaining a lower body mass. Aagaard, P. Anderson, JL. Bennekou, M. Larsson, B. Oleson, JL. Crameri, R. Magnusson, SP. And Kjaer, M. (2011) ‘Effects of resistance training on endurance capacity and muscle fibre composition in young top level athletes’. Scandinavian Journal of Medicine & Science in Sports. 21(6) pp. 298-307. Baechile, T and Earle, R. (2008) Essentials of strength training and conditioning. 3rd Ed., Leeds: Human Kinetics. Bastiaans, JJ. Van Diemen, AB. Veneberg, T. and Jeukendrup, AE. (2001) ‘The effects of replacing a portion of endurance training by explosive strength training on performance in trained cyclists’. European Journal of Applied Physiology. 86(1) pp. 79-84. Bieuzen, F. Lepers, R. Vercruyssen, F. Hausswirth, C and Brisswalter, J. (2007) ‘Muscle activation during cycling at different cadences: effect of maximal strength capacity’. Journal of Electromyography and Kinesiology. 17(6) pp. 731-738. Bieuzen, F. Hausswirth, C. Louis, J. and Brisswalter, J. (2010) ‘Age-related changes in neuromuscular function and performance following a high-intensity intermittent task in endurance trained men.’ Gerontology 56(1) pp. 66-72. Bishop, D. Jenkins, DG. Mackinnon, LT. McEniery, M. and Carey, MF. (1999) ‘The effects of strength training on endurance performance and muscle characteristics’. Medicine and Science in Sport and Exercise. 31(6) pp. 886-891. Cardinale, M. Newton, R. and Nosaka, K. (2011) Strength and conditioning: Biological principles and practical applications. Chichester: John Wiley and Sons Ltd.
Coyle, EF. Feltner, ME. Kautz, SA. Hamilton, MT. Montain, SJ. Baylor, AM. Abrham, LD. And Petrek, GW. (1991) ‘Physiological and biomechanical factors associated with elite endurance cycling performance’. Medicine and Science in Sports and Exercise. 23(1) pp. 93-107. Hansen, EA. Raastad, T. and Hallen, J. (2007) ‘Strength training reduces freely chosen pedal rate during submaximal cycling.’ European Journal of Applied Physiology, 101(4) pp. 419-426. Hausswirth, C. Argentin, S. Bieuzen, F. Le Meur, Y. Counturier, A. and Brisswalter, J. (2010) ‘Endurance and strength training effects on physiological and muscular parameters during prolonged cycling.’ Journal of Electromyography and Kinesiology, 20(2) pp. 330-339. Heggelund, J. Fimland, MS. Helgerud, J. and Hoff, J. (2013) ‘Maximal strength training improves work economy, rate of force development and maximal strength training more than conventional strength training’. European Journal of Applied Physiology. 113(6) pp. 1565-1573. Hickson, RC. Dvorak, BA. Gorostiaga, EM. Kurowski, TT. And Foster, C. (1988) ‘Potential for strength and endurance training to amplify performance’. Journal of Applied Physiology. 65(5) pp. 2285-2290. Impellizzeri, FM. Marcora, SM. Rampinini, E. Mognoni, P. and Sassi, A. (2005) ‘Correlations between physiological variables and performance in high level cross-country off road cyclists’. British Journal of Sports Medicine. 39(10) pp. 747-751. Ronnestad, B. Egeland, W. Kvamme, NH. Refsnes, PE. Kandi, F. and Raastad, T. (2007) ‘Dissimilar effects of one and three set strength training on strength and muscle mass gains in upper and lower body in untrained subjects’. Journal of Strength and Conditioning Research. 21(1) pp. 157-163. Ronnestad, B. Hansen, EA. And Raastad, T. (2010a) ‘Effects of heavy strength training on thigh muscle cross sectional area, performance determinants and performance in well trained cyclists’. European Journal of Applied Physiology. 108(5) pp. 965-975. Ronnestad, B. Hansen, EA. 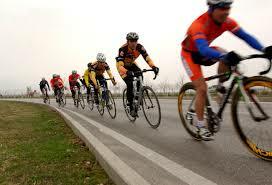 And Raastad, T. (2010b) ‘In season strength maintenance training increases well trained cyclists’ performance’. European Journal of Applied Physiology. 110(6) pp. 1269-1282. Stron, O. Ulevag, K. Larson, MH. Stoa, EM. And Helgerud, J. (2013) ‘Physiological determinants of the cycling time trial’. Journal of Strength and Conditioning Research. 27(9) pp. 2366-2373.
you can’t expect big traffic. You need hi quality backlinks.